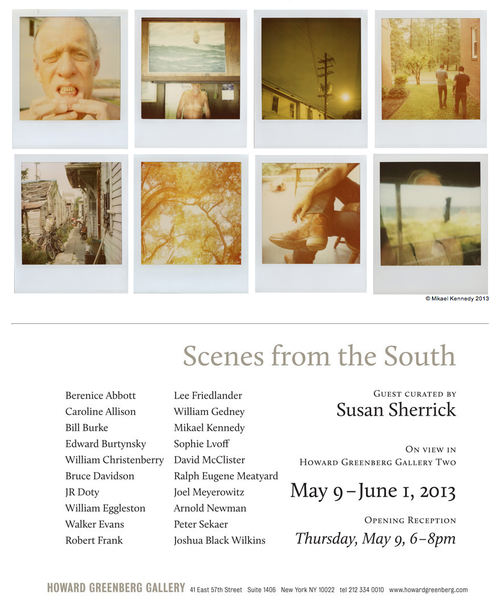 I’m just back from Nashville, so it seems fitting that on my immediate list of things to do is to see Scenes from the South, a collection of photographs curated by Susan Sherrick, featuring eight Polaroids taken by my exceptionally talented friend Mikael Kennedy, originally for his Passport to Trespass series. I had the pleasure of recently catching up with Mikael where we talked about artistic process, inspiration, vocational callings and the Waffle House (aka my newest obsession, as a result of my roadtrip). Lofty subjects, all. If you are in New York, be sure to drop by the opening reception tonight at the Howard Greenberg Gallery on East 57th! You are currently reading On the Docket: Scenes from the South at Quite Continental.